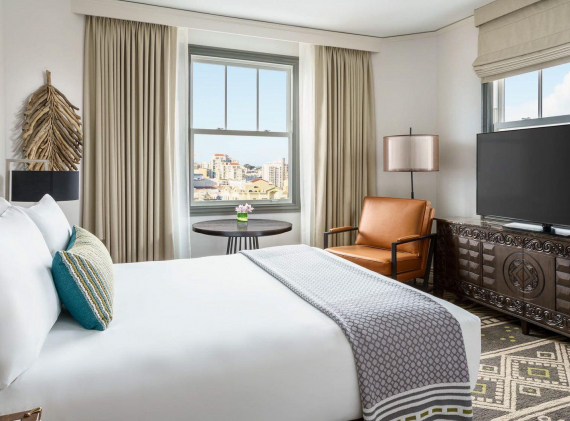 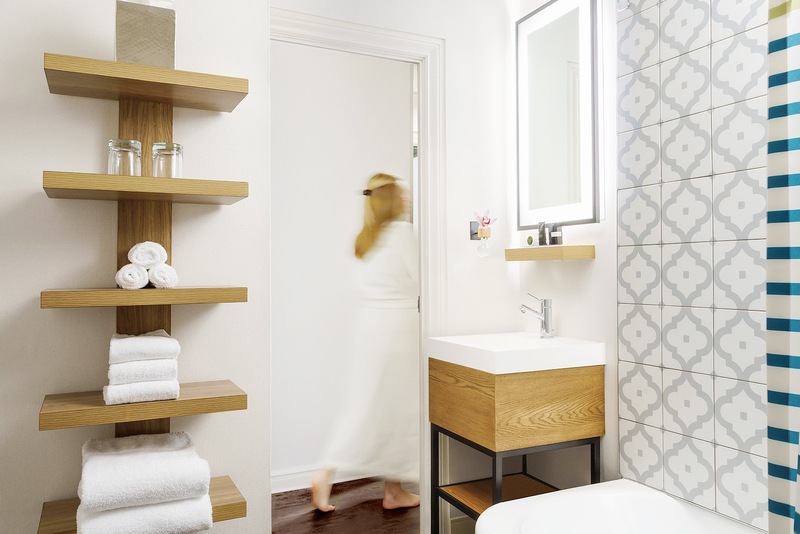 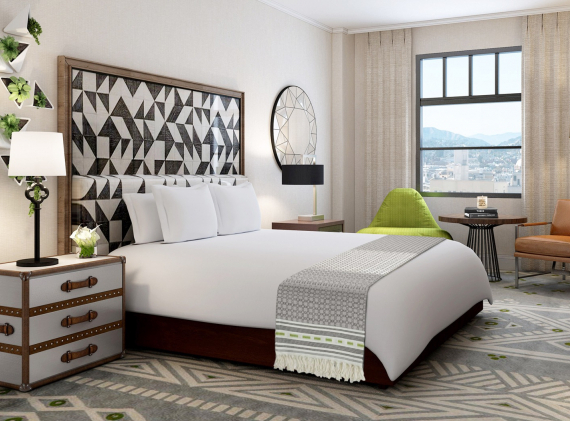 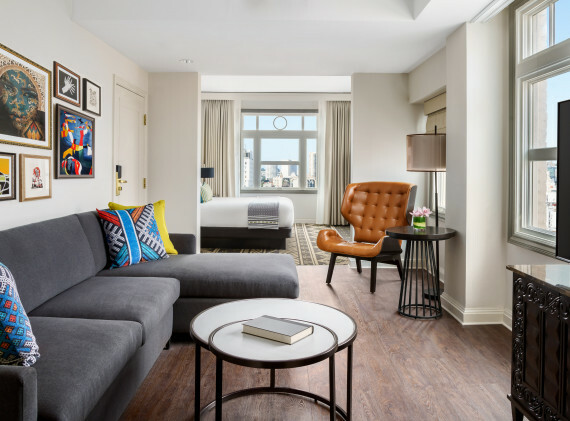 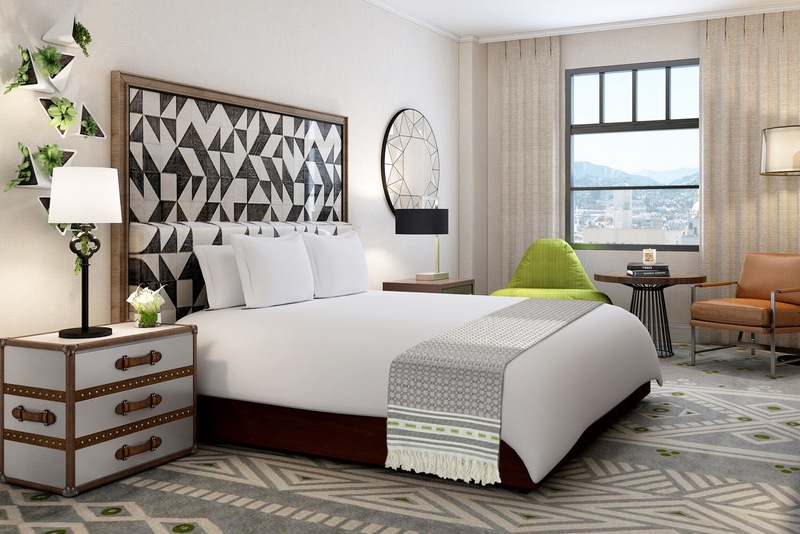 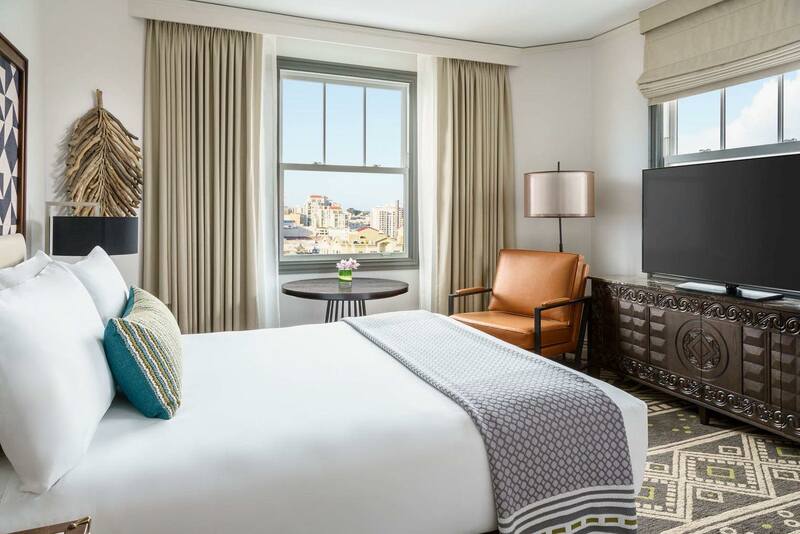 After a day spent exploring San Francisco, return to Hotel Spero to unwind in a contemporary guest room or spacious suite. 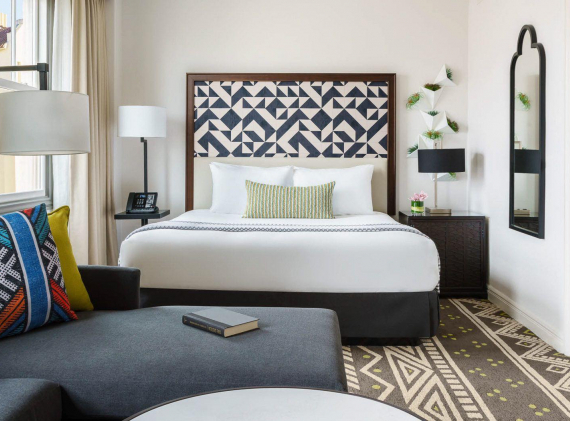 Warm ambient lighting, soft textiles, and stylish geometric accents create an inviting setting to relax and recharge, while classic Spanish tiles and glass-enclosed showers deliver a spa-inspired experience. 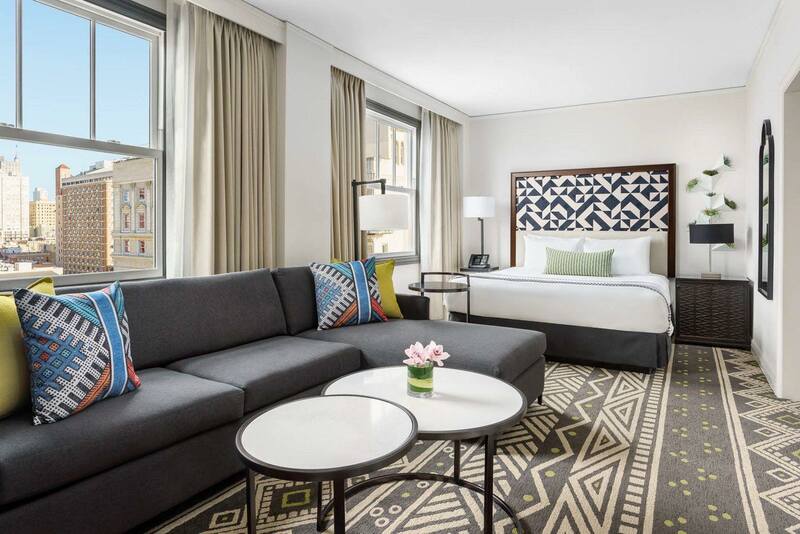 These newly renovated one bedroom suites are our most comfortable and spacious of all. 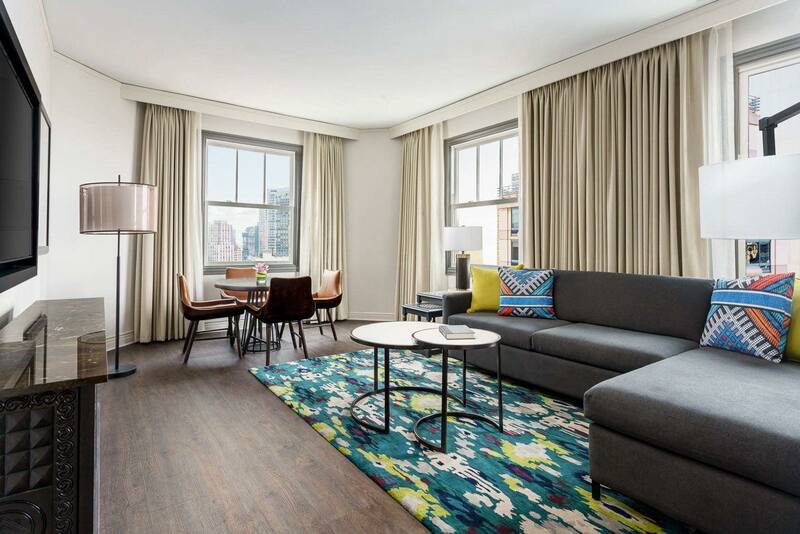 Featuring a private bedroom and separate living room with queen sleeper sofa and hardwood floors, these sunlit spaces also include a work space with desk and chair, and a Spanish-tiled bathroom with a sleek glass-enclosed shower or tub. 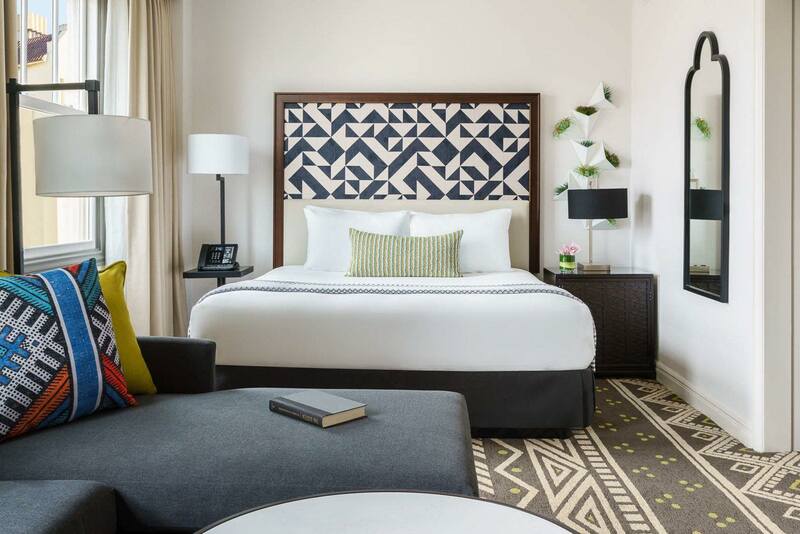 Among our largest accommodations, the renovated serenity suites are sleek, sun-filled retreats. 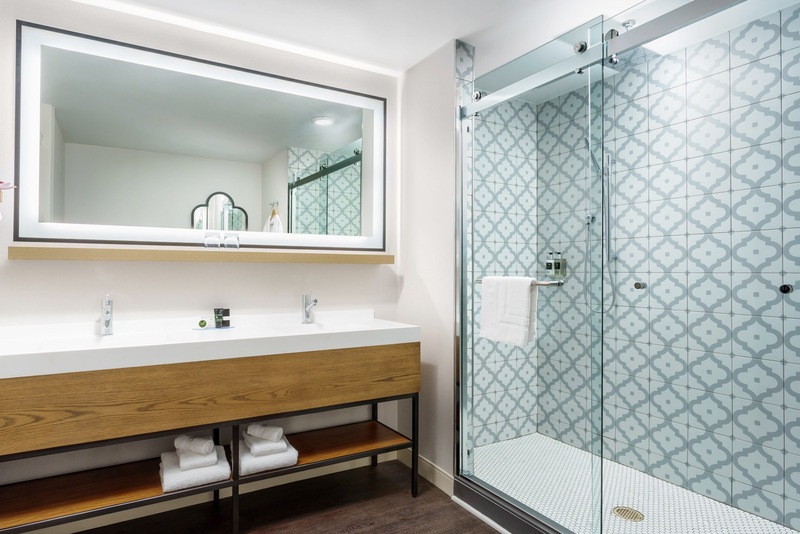 Open and airy, they include a separate bedroom, living room with sofa bed and hardwood floors, a workspace filled with natural light, and a bathroom with modern glass-enclosed shower and Spanish tiles. 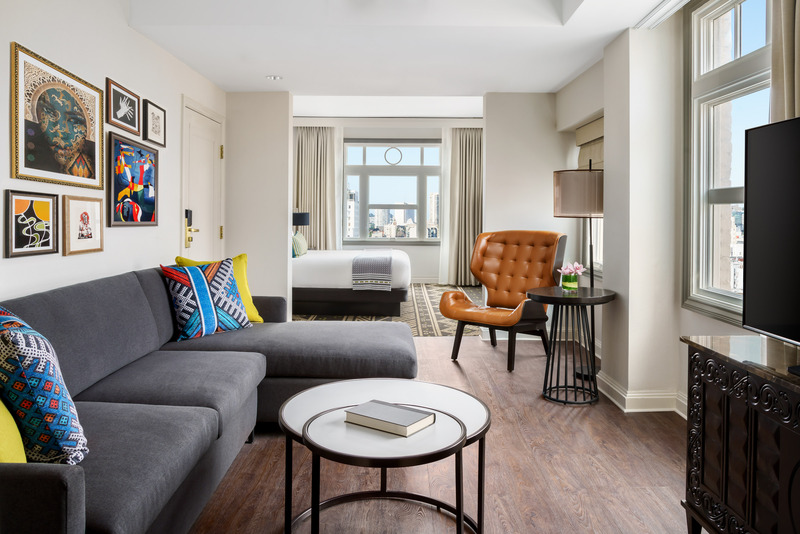 You’ll feel right at home in our newly renovated urban suites, featuring spacious living rooms, hardwood floors, sofa beds and sunlit workspaces. 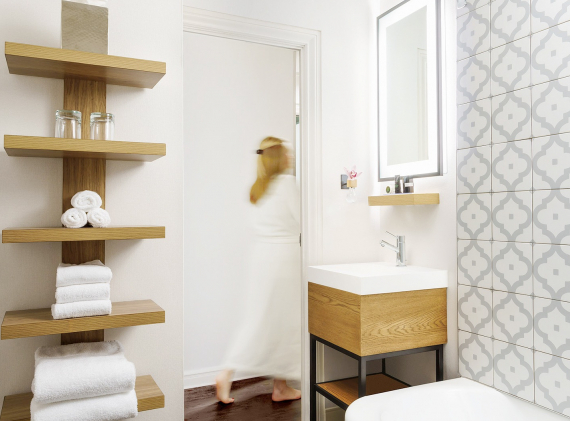 Take a relaxing soak in the tub, unwind with your favorite shows on TV, and lounge around in your cozy bathrobe between big city adventures. 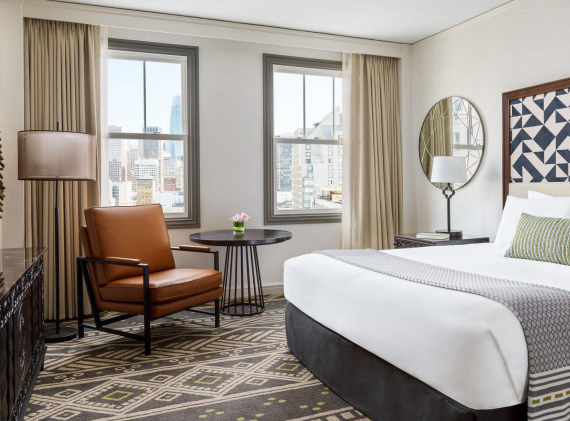 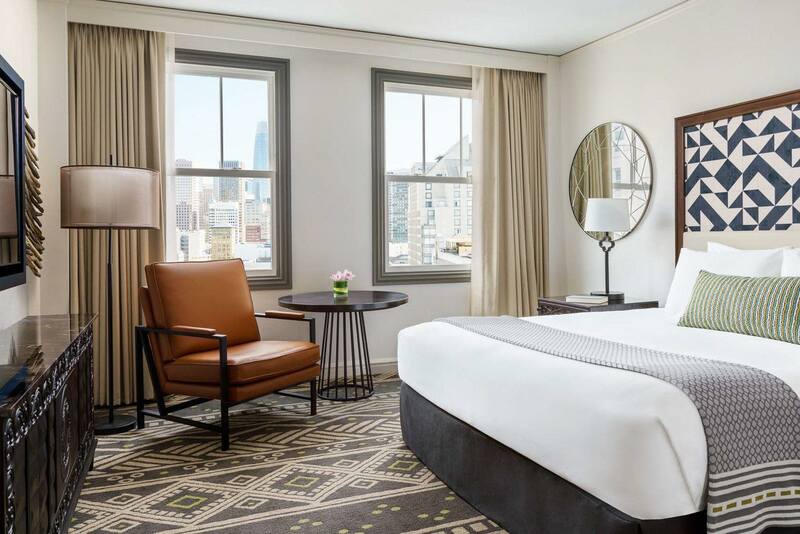 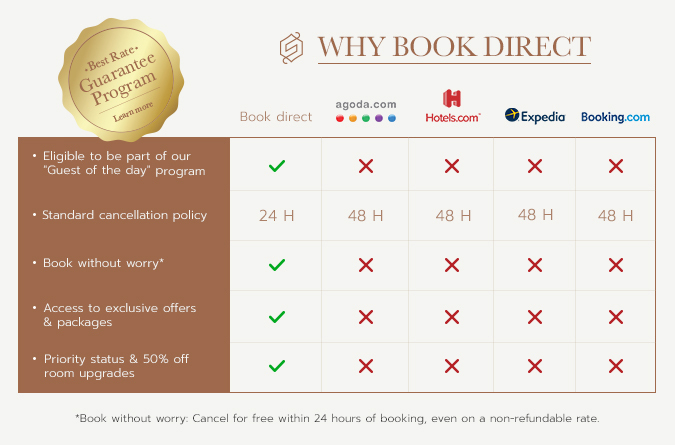 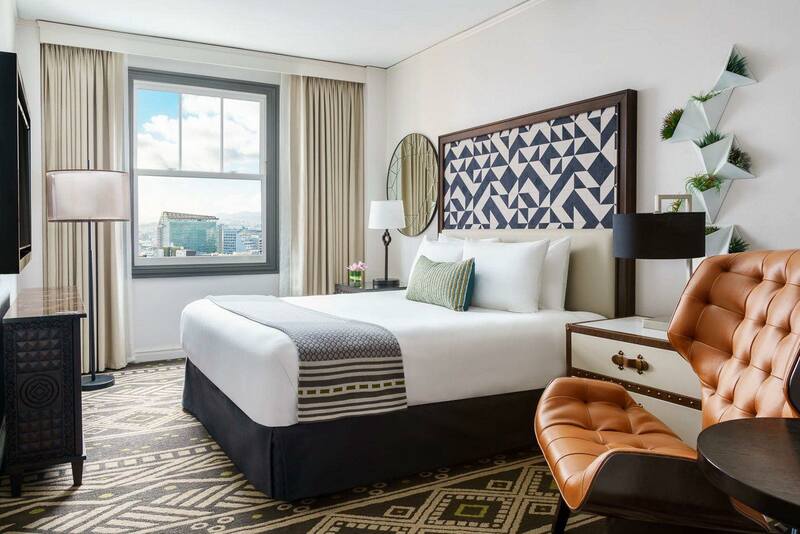 Recently renovated to include a luxurious glass-enclosed shower with Spanish tiled bathroom, our generously-sized king rooms are stylishly-furnished with a plush king bed, sunlit workspace, and oversized picture windows. 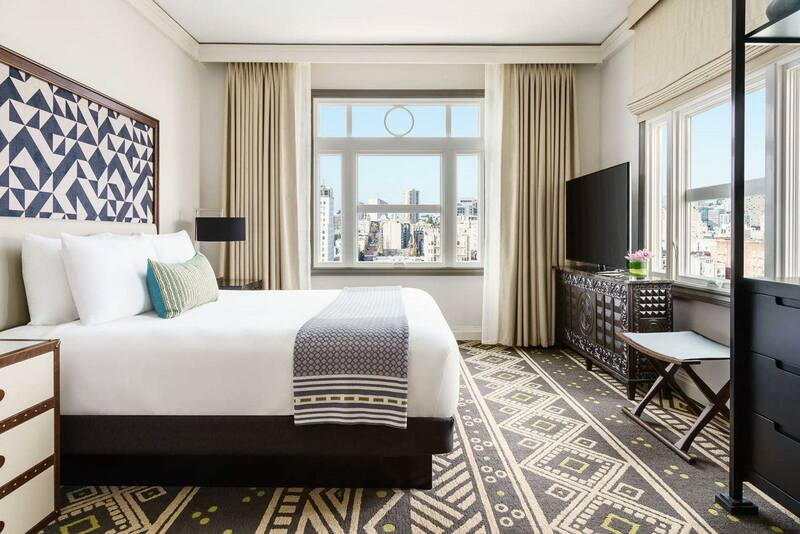 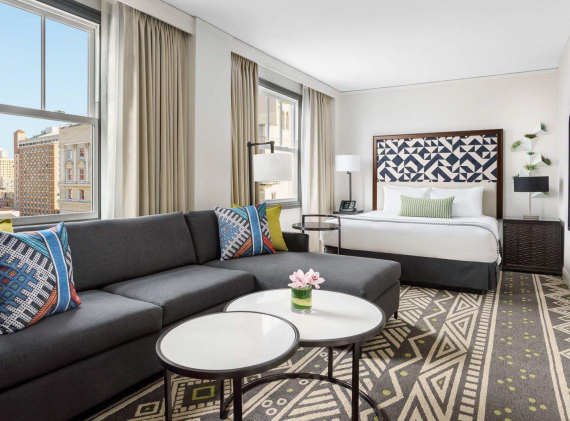 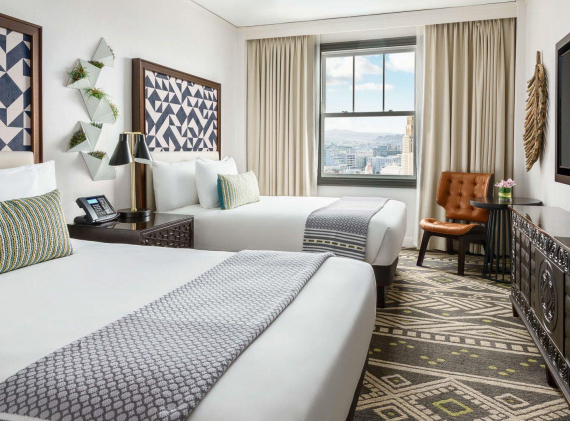 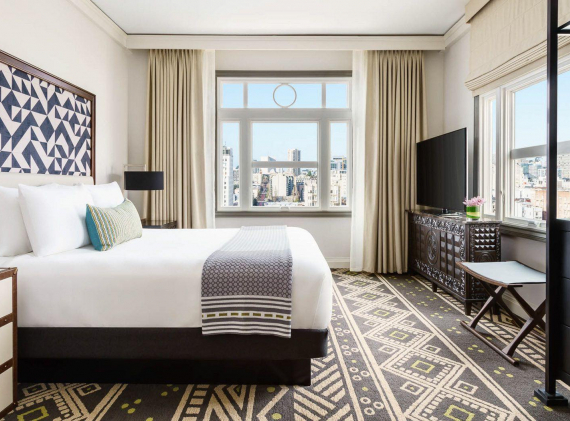 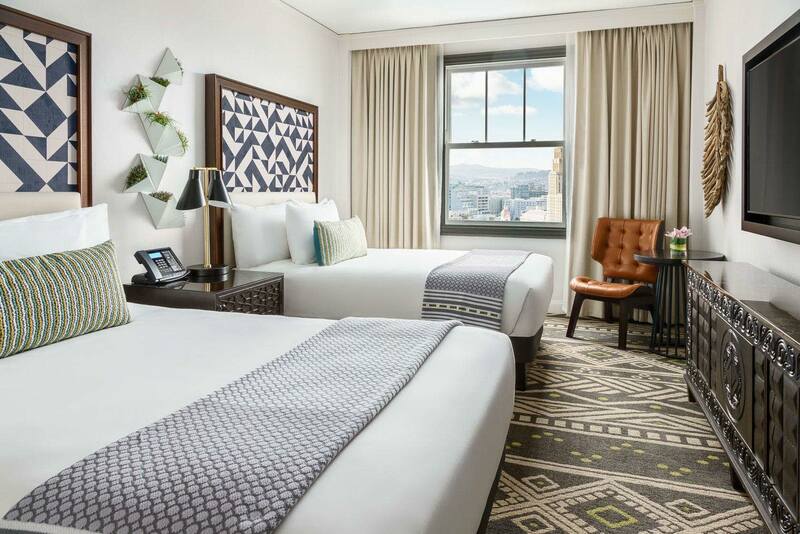 Decorated with warm accents and modern patterns, these newly renovated queen rooms feature a well-equipped work space framed by large windows that welcome plenty of natural light. 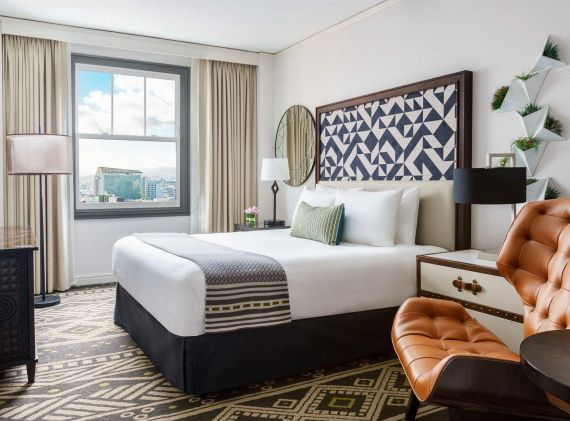 Perfect for a weekend getaway or extended stay in San Francisco, these recently renovated rooms feature two double beds, a work desk and chair, and large picture windows to let in plenty of natural light. 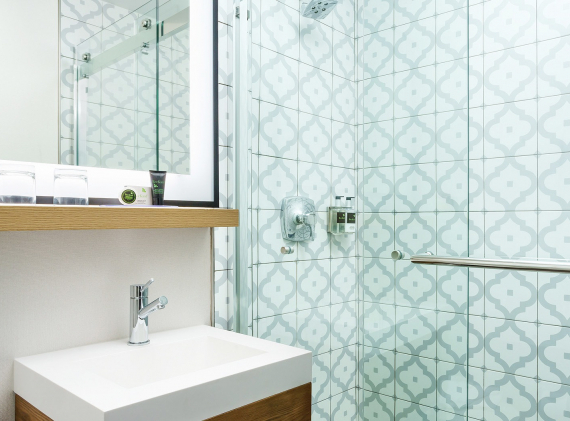 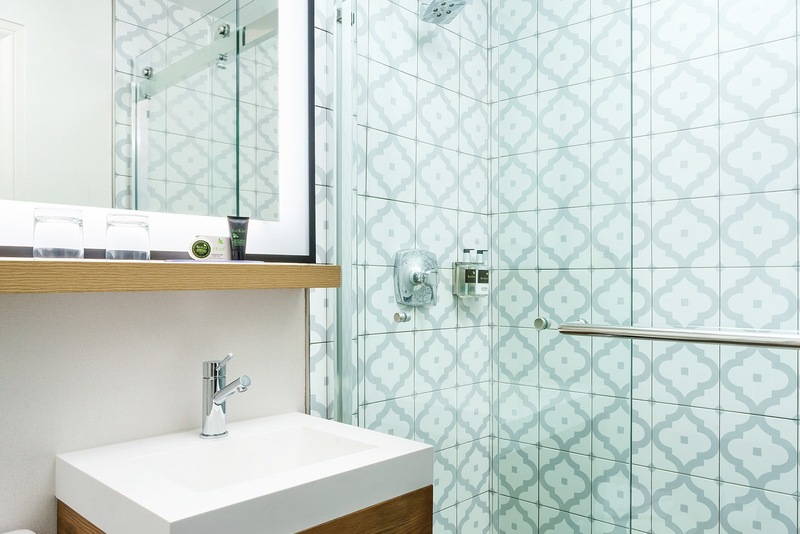 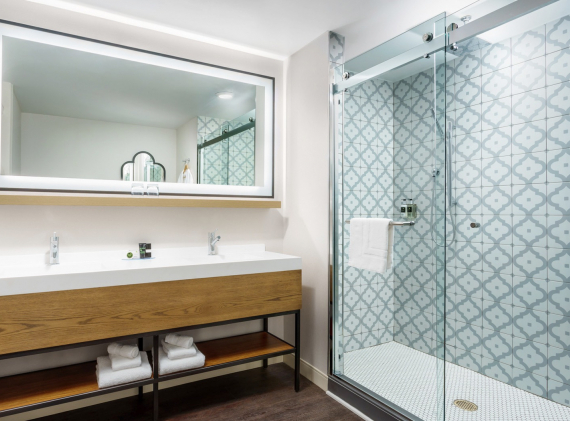 Our ADA rooms feature a tub and shower, grab bars, handheld shower, folding shower bench, mini-fridge, safe, hairdryer, and bath amenities. 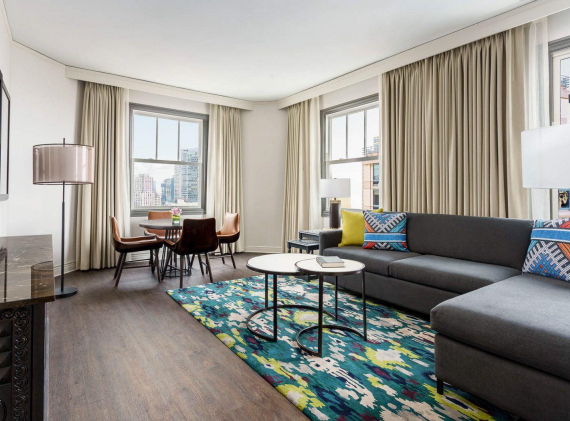 Also included is a 55” HD TV, including movies on demand and complimentary local channels.